At some point, everyone is a beginner. When you’re trying to get your business’ website up and running and want to start generating coveted search traffic, beginning to optimize your website for SEO can seem like a daunting process. When you’re just learning about SEO, it is easy to feel as though you need to hire someone or subscribe to one of many SEO services online. The truth is, getting help with your SEO will likely be very beneficial—but you shouldn’t feel like it is an absolute necessity. Over time, search engines have improved the search process and as a result, it has made it harder for websites to rank. This leaves many business owners feeling discouraged and incapable of doing SEO. The reality is, learning SEO isn’t rocket science and it is actually pretty easy to do. Here are a few strategies to help you get started without spending your coveted start-up funds on your site’s SEO. You Won’t See Results Over Night, but That Doesn’t Mean You’re Not Doing it Right. SEO isn’t just about choosing keywords and stuffing them into your site anymore. Yes, keywords are still very important—but overdoing it can kill your search ranking. Search engines are now focusing on many other aspects to determine your ranking. Today, search engines are depending heavily on the number of back links your website is receiving. This is a big reason why a company blog can be such a valuable asset. As for your web content, let go of the idea of writing for Google’s machines. Write for humans. Rachel Sprung, Product Marketing Manager at Hubspot recently wrote a fantastic article on how to choose keywords. Her article is a great place to start. The gist of Rachel’s article is to list your major service offerings and break them down into keywords that customers are likely to search for. Another important part of your on-site SEO is making sure you get you tags right. Moz is a great resource for learning everything you need to know about title tags to get started. Additionally, make sure you are writing alt text for all of your images. Search engines can’t read images and therefore the only way a search engine be able to find your image is through its alt text. Shaun Anderson, whom has done extensiveresearch on how Google reads Alt text, recommends that it be no longer than 16 words that are relevant to the contents of your image. First things first, if you’re not publishing a company blog—get started. Blogging is the best way to ensure your company is continually getting it’s name out there on social media and earning links back to your site. Additionally, publishing a blog ensures that you are constantly creating new content and updating your site which search engines like. Once you’ve got your blog up and running, it’s time to start actively engaging on other blogs. When you comment on someone else’s blog, you typically will have to enter your name, email, and comment. However, there is an optional place to enter your website if you choose. Do so. When you enter your website, your comment will link back to your website. While these links are typically tagged as “no follow” links (which tells search engines not to follow them) this will help your blog see more traffic. Find a handful of blogs that you would like to follow regularly and start leaving thoughtful comments that add to the discussion. The makers of Hubspot recommend that you use an RSS aggregator such as Feedly to keep track your favorite sites and get their latest content. They also recommend that you comment on at least 10 every day and over time this will significantly help your business and help your site earn back links as more and more people share and link back to your site. For more tips and ideas on earning back links, the company Digital Current recently posted a great blog with links to a number of fantastic resources on the topic. 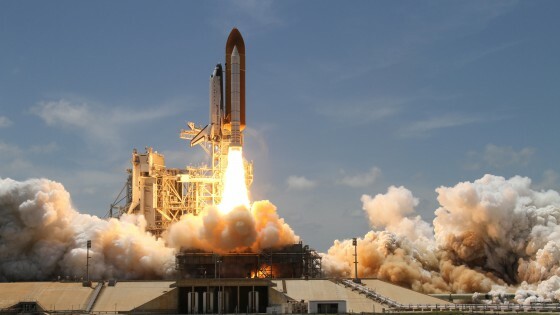 When you’re starting out, SEO can seem like rocket science. It can be difficult to feel as though you’re doing it right when it can take months to see results—but stay with it. The truth is, SEO is fairly easy to learn and get the hang of as long as you don’t give up on it. Keep on top of current trends and be consistent. If you give it time, SEO will become one your most cost effective marketing tools.